Mrs. Kathleen Clark was chosen as the Faculty Focus Friday employee for elementary schools. 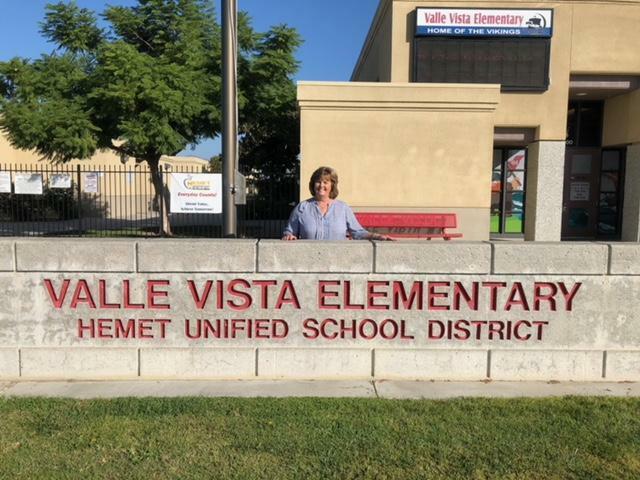 Mrs. Clark is a 1st grade teacher at Valle Vista Elementary School and a great addition to the team. She is loved by her 1st grade students and is always ready to go the extra mile for everyone! Mrs. Clark provides support for teachers and is always meeting students’ needs by providing specific interventions. Not a day goes by where Mrs. Clark doesn't spread her cheer or positive support for those around her! We are lucky to have such a positive and supportive team player at Valle Vista. CHARGE ON, Mrs. Clark!